When I was asked to capture Anna and Matt’s wedding I was so thrilled. Firstly because they were getting married in Rye, a beautiful town near the coast. I thought the cobbled streets and architecture would be simply amazing. Secondly, October makes for beautiful light if we were lucky enough to see some sun that day! And thirdly because they were a referral from another couples wedding. I can’t tell you how much that meant to me. 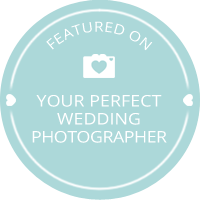 The wedding photography business is a tough area with lots of fantastic photographers out there. So to have a couple attending a wedding I am shooting then book me for theirs means I am doing a lot right! And that makes me extremely proud and just a little bit excited for the future. The wedding, in the October half term, was on a bright and sunny day (thank you, thank you!). We had some amazing light on the walk up from The Mermaid Inn, where the couple were getting ready and would be returning to for their reception after the ceremony at the Town Hall. Unfortunately the cobbles were a bit slippery so I have to were pumps – not a professional as I would like but practical. I don’t think they minded especially as I didn’t fall over and break my neck! Anna had decided quite late on that she wanted a few bridal prep images to be taken. I am so pleased she did. Anna’s dress reminded me of an old Madonna album photo (goodness going back to when I must have been about 10 and dancing around my bedroom). The photograph, I think, was on the back or inside of the album cover. It was a sepia shot with lots of voile skirt layers of Madonna sitting on a bed putting on her shoes as I recall. She just looked amazing and that image stuck with me….I always wanted to create one of those with my brides and Anna did it! I didn’t mention to her the inspiration, so she doesn’t know this story but I hope she loves the photo as much as I do! The Town Hall in Rye is a beautiful, historical building with some great photographic areas for all weathers. The staff are pretty special too. We had Martin with us on the day and Paul the Town Cryer. I feel so reassured being surrounded by people who know what they are doing and help you to do exactly what you need to. I’m not the loudest of people in large groups so they were invaluable in shepherding people to right place for photographs after the ceremony. Not that there were particularly many but guests always like to know what they should be doing as they want to get it right for the couple marrying. We drew a little attention from the locals and tourists alike and I think the couple were “papped” a bit which I think made them feel like a million dollars! The Mermaid Inn in Rye was the venue for the reception. This was a different challenge for me from the bright airy Town Hall to a reception area with low ceilings, dark carpet and candle light. Lots of atmosphere but a challenge for the photography in all that low light! I think I passed the test again thanks to a pre-wedding visit and being prepared! I stayed until the speeches had been made, tears shed, hands held, cake cut and silly faces pulled with wigs on (at the selfie station with a Instax camera). My time with them seemed short but sweet and turned out to be one of my firm favourites.